As the summer draws to a close, we can look back on a busy summer for members of Troop 50. Just a week after our June Court of Honor, several members of the troop headed to Camp Sequoyah for a week in the woods. Four of our younger scouts made great strides in their advancement through their participation in the Eagle Bound program. In addition to earning several merit badges, they also met numerous requirements for their Tenderfoot, Second Class, and First Class ranks. The troop also brought home a ribbon for earning the Commissioner's Spirit Award and took Third Place in campsite inspections. Photos from Sequoyah are found in the online photo gallery. Just as the week at Sequoyah was ending, six members of the troop headed to New Mexico for a twelve day backpacking trip at the Philmont Scout Ranch. Scouts had the opportunity to sightsee at places like the U.S. Air Force Academy and Pike's Peak in Colorado Springs before arriving at Philmont. On the trail, the contigent climbed mountains, rode horses, shot black powder rifles, panned for gold, and climbed spar poles as part of the backcountry programs. The group covered over 86 miles during their backpacking journey. The trip was covered with its own blog and Facebook page. Photos are available through the contingent webpage. 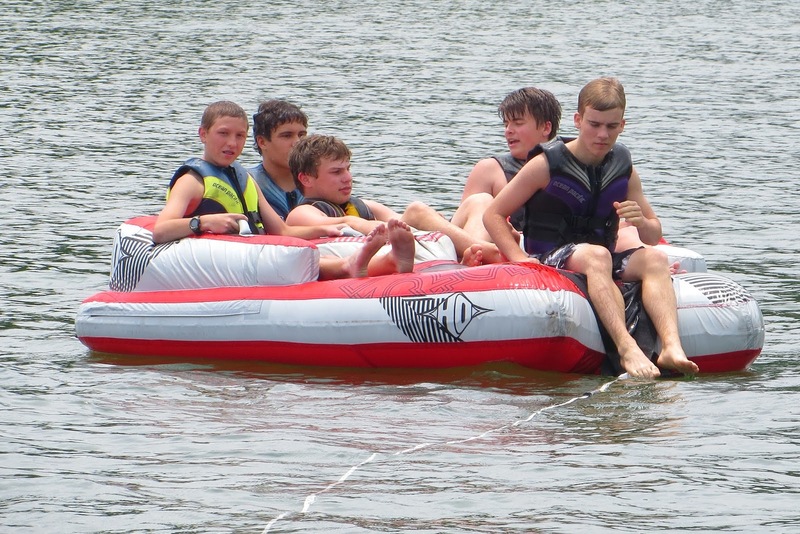 In July, the troop had the opportunity to chill at the lake. The Adams' were kind enough to let us visit their lake house on Lake Martin. 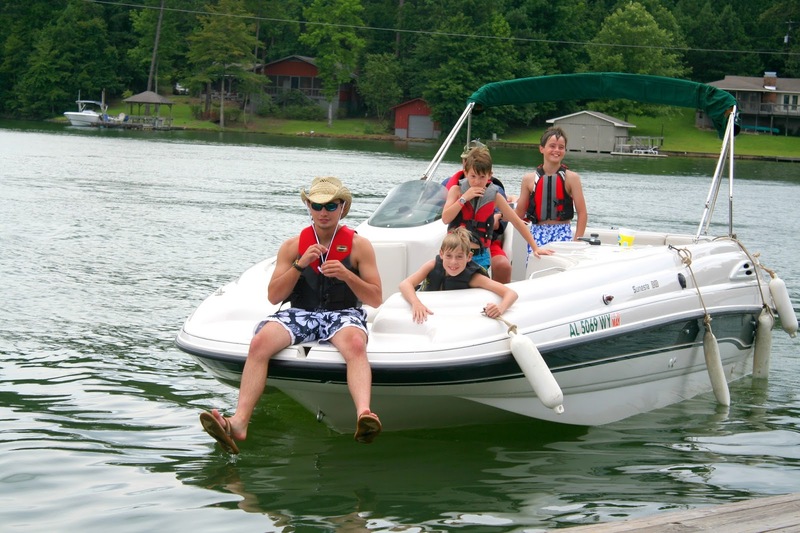 The Harris family brought their ski boat and scouts had the opportunity to go tubing, skiing, and kneeboarding. We also enjoyed swimming, good food, and fellowship. More photos from the lake party are found in the photo gallery. With summer on the wane, the troop resumes regular Monday meetings on August 5th with a trip to go whitewater rafting on the Chattahoochee scheduled for August 10th. We are also looking forward to our August Court of Honor at Chewacla State Park on the 25th and multiple Eagle Courts of Honor in the near future. We're looking forward to a great fall program.